UNO Street Foods is dishing out some authentic Italian and Spanish fare in the form of pizzas and churros. With the abundance of Indian-style pizzas served all over Pune, we were hunting for a place serving authentic Italian pizzas. And we've just found the right one. UNO, tucked away in the leafy lane 5 of Koregaon Park has quirky décor and rustic wood and brick interiors. 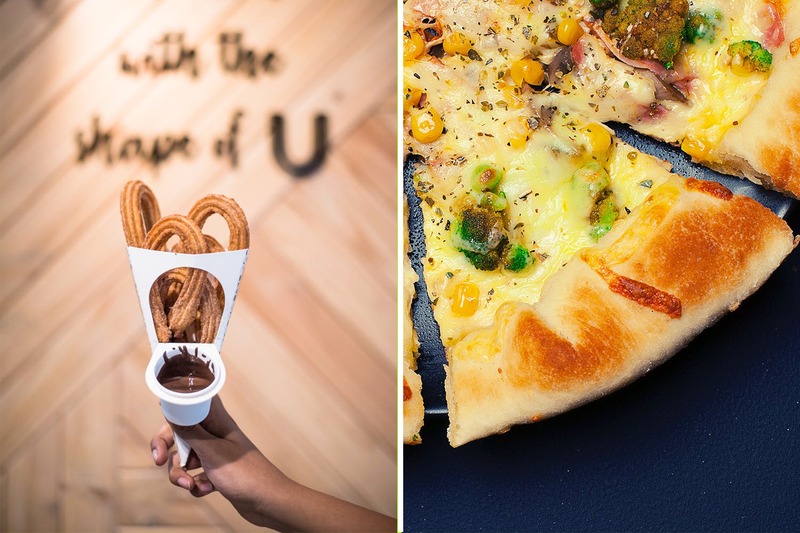 Their menu consisting of pizzas, churros, salads and shakes has won our hearts over. We recommend you to try their 13 inches classic Margherita pizza, which is overloaded with cheese. Also, you can get yourself a customized pizza with a choice of crust, toppings, etc. The cafe has a live churros counter that makes 6 inches of U-shaped crunchy, golden goodness. The classic and the limited edition unicorn churros was our favourite and we recommend you to try it. Munch it away just like that or dip it in a bowl of chocolate; you will be sure to come here for more. Wolf down these treats with an assorted range of delightful shakes. For the health conscious ones, if you have one cheat-day remaining in your kitty, use it right here at UNO Street Foods. And if not, then you can always indulge in their flavour-some salad box.